This Saturday, April 14th, Nicole Taylor, Alisha Miranda and I will be hosting our second installment of our Bed-Stuy Crawl series. Having lived in Bed-Stuy since I was a kid, I have to say there hasn’t been a more exciting time to live in the neighborhood. 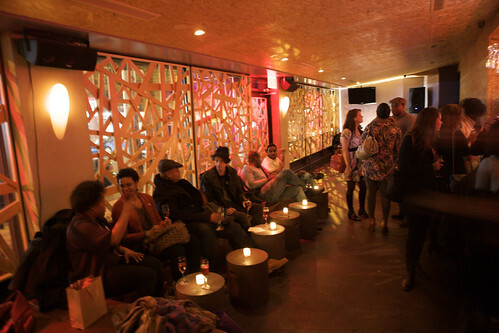 As recently as five years ago, the idea of being able to spend a Saturday evening out with friends without leaving the bounds of Bed-Stuy was pretty unlikely. Your options were to hang out at an old man bar or to spend the whole time at one of a handful of scattered restaurants around the area. That’s all changed. And it’s pretty great. If you missed the first Bed-Stuy Crawl back in February, here’s your chance to make it up to yourself. Last time, led a group of 40 from Fulton Grand on the Clinton Hill border to Breucklen Cellars, Vodou Lounge and finally Black Swan. It was an amazing time and we’re doing it all over again this weekend. Check out the plan for this weekend’s festivities after the jump. 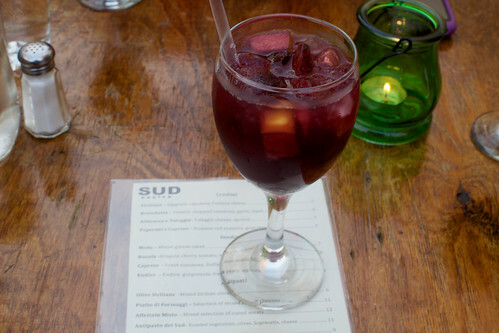 This time, we’ll start at Sud, where we’ll sip sangria and snack on crostini in the backyard. Attendees of the crawl will get wine and sangria for $4 all night and if they return for dinner, will also receive one half price pasta dish. Throughout the evening, we’ll be giving away prizes in a raffle for all who friend, follow, tweet or like Bed-Stuy Crawl in the various social media that evening. Our first giveaway is a set of frozen tamales from our friends and neighbors at Lonestar Taco. Wayne and Tracie live a block from me and are working on a new store right here in the neighborhood. I’m really glad that they could be a part of this. The next stop is Bedford Hill, a cute little cafe on Franklin that recently got their beer and wine license and are now open into the late hours on the weekends. 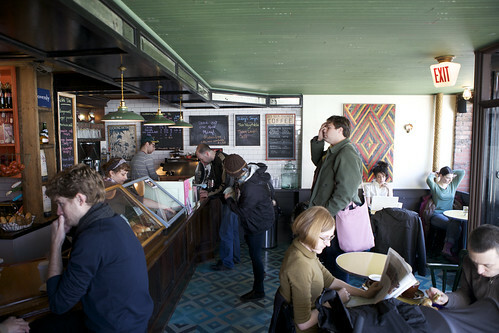 They’ll be serving crawl attendees $4 beer and $6 wine all night. We’ll be giving away homemade marshmallows from Sweet Tooth Labs, a.k.a. our great friend, Emily Hanhan. The party continues at One Last Shag, just across the street. The bar with a beach in the backyard is known for some wild nights and will be offering us happy hour specials until 11pm. Our last two giveaways of the evening will take place here. Dara of With Love From Brooklyn has donated a gorgeous Brownstone print and mug, while Crystal of Tasty Morsels is bringing custom cookies for the party. All in all, it’s going to be an amazing time and I can’t wait to get it started. If you’re a local, a transplant or just a visitor looking for a good time, come on out and enjoy the party.